It's hard to believe how some games get revealed nowadays. 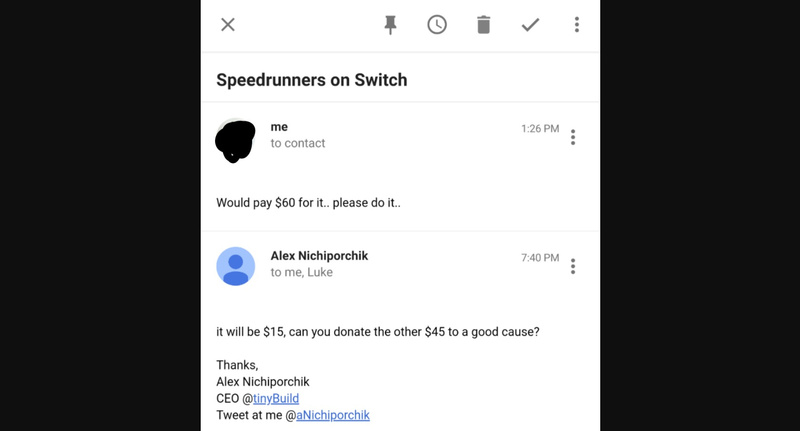 A Reddit user by the name of Patrickwaite011 recently reached out to tinyBuild Games via email asking if the publisher would be releasing SpeedRunners on the Switch anytime soon. 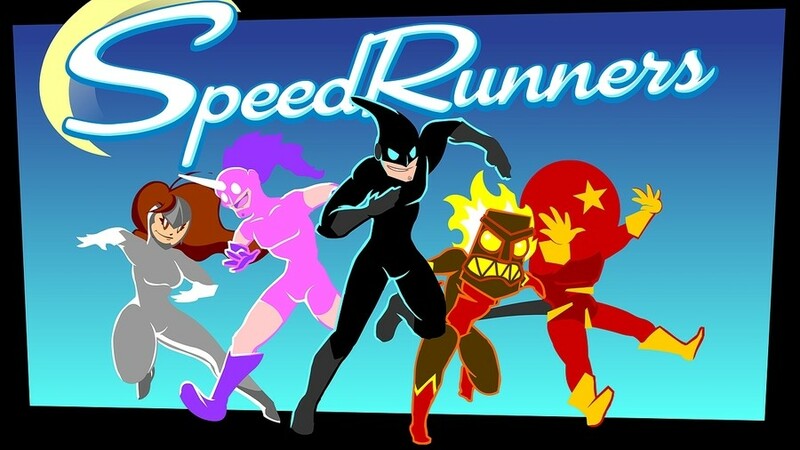 If you're not familiar with SpeedRunners, it's sort of like a 2D platform version of Mario Kart (without the vehicles). Up to four players take control of runners who jump, duck and dive through multiple different courses while shooting various items at each other and trying to finish in first place at the same time. It's fast and frantic and includes both local and online multiplayer. Of course, even though this is the CEO of tinyBuild responding, there's still no official public announcement about the game coming to the Switch. In saying this, it seems like there's a good chance it will eventually be released, as several tinyBuild titles have already been published on the Switch in the past, including the likes of Punch Club, Clustertruck and Party Hard. Would you like to play this intense multiplayer runner on the Switch? Tell us below. Really fun game. Thought it was already on the system, lol. Played the crap out of this on PC. @Abeedo Runbow's good, sometimes great but SpeedRunners is excellent. Dang, this game looks great. @Abeedo Have you played Runbow?? This is like that but i'd say just better. I wonder if it will include the youtubers DLC. I would get it only for Jessie Cox in a space butterfly suit, even though I stopped watching him a long time ago. This looks great and like a lot of fun! Too bad that I stink at speed runs. When a platformer has a speed run level, it takes me forever to beat it. Although, I could play this game with people worse at speed running than me . . .
Runbow with better animation, smoother gameplay, and grappling hooks? @Abeedo more like Runbow with less maps, less modes, no real SP options, less players, less characters, etc. In reality the games are quite different. I liked Runbow better. Runbow has its quirks, but it is packed full of content. This game was fun, but I haven’t gone back to it. My kid and I still go back to Runbow. Looks a lot like Runbow, one of my favorite games on Wii U. You know what we must do. Nerds unite and e-mail anyone and everyone in the game industry. My kid played this to death on his cousins' XBone. This will probably be a day-one. That game is great. It's one of the best games out there. I just hope they let you make and share custom levels like they do on PC.